No, not “Sissi,” though the films about me starring Romy Schneider (that sad, sad gorgeous harlot–I mean, starlet), would beg to differ. 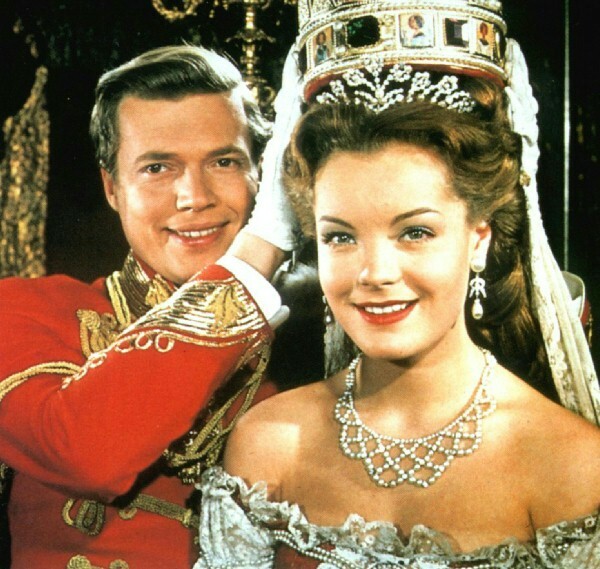 We have Ernst Marischka, the film’s director, to thank for the blunder, but it’s an honest mistake, because Sissi is often the nickname for Elisabeth in Austria. Here’s the real story on my various names. I was born Elisabeth Amalie Eugenie Wittelsbach. My Papa called me Lisi, but everyone else in my family bellowed Sisi! when I misbehaved. I was never one for sitting about with my lessons, so shortcuts-are-me, even if that meant eliminating an extra letter. And, frankly, Sisi looks better on paper than Sissi. Tougher, leaner. In our day, we had multiple names and titles, and partly this was to distinguish ourselves from the many other people in our family with the same given name. For instance, my mother’s real name was Marie, but shortly after birth her parents started calling her by her middle name, Ludovika, and promptly named a younger sister Maria. My little sister was also named Marie, so it would have been quite confusing to have so many Maries running around, yes? Of course we kinder all called our mother, the Princess of Bavaria, Mummi, and Papa called her, well, we shan’t go there. Then there’s the whole Elizabeth versus Elisabeth conundrum. We have the Americans to blame for that! They often bastardize (bastardise?) good words by inserting the unwholesome “z” in place of the British “s” in –ise words, (e.g. organise/organize, recognise/recognize, realise/realize). I propose that Microsoft adopt the Oxford spelling spellcheck as default in their next Windows upgrade, in order to right the wrongs done on behalf of the free Colonial world. But then again, I’m royalty, so of course I feel this way! It has come to my attention that I may need to educate my readers on the various titles bestowed to my countrymen, friends and relations. Princess: A nonreigning female member of a royal family. In other words, moi. Duchess: Of or related to a Duke. Empress: A female ruler of an empire OR the consort of an emperor. Consort, now there’s a curious term. Sounds rather naughty, does it not? Alas, the term is strictly on the up-and-up, and refers to a spouse. Archduke: a title of the sovereign princes of the former ruling house of Austria. That would be Franz Josef and his little brothers before Ferdinand the Kindly abdicated. Archduchess: A princess of the Austrian imperial family. Yes, you guessed it, my future mother-in-law. But let’s not get ahead of ourselves. Baroness: The wife of a feudal vassal holding his lands under a direct grant from the king. That would be my insufferable governess, The Baroness Louise Wulfen. Countess: Same as Baroness, but more so. Dowager: An elderly woman of stately dignity, esp. one of elevated social position. Usually battle-ax types, but occasionally, sweet old ladies. Lady-in-waiting: A woman who is in attendance upon a queen or princess. I will have scads of these bothersome women be-next to me once I am Empress. Though they are supposed to be discreet, my ladies-in-waiting will actually be spies employed by my very strict mother-in-law (a title which, I beg, needs no defining).